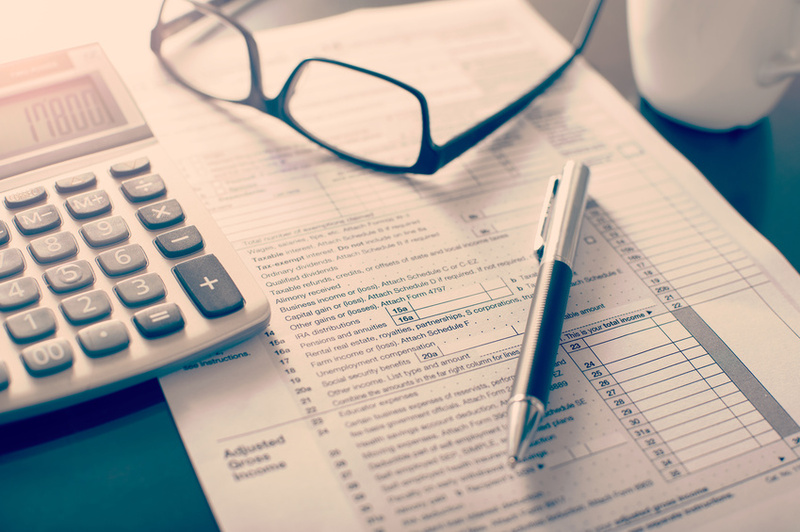 Before you submit your 2019 tax returns, read up on these major changes to the tax code! Americans fail to pay as much as $458 billion a year in taxes. Obviously neglecting to pay any kind of tax can lead to serious financial and legal trouble, but not being aware of tax changes can cause issues, as well. People around the country are going to start filing their income taxes in the next few weeks. The tax reforms installed by President Donald Trump and the U.S. Congress will have a profound effect on what filers can expect. Tax Rates — This will be the first year where the new tax reform bill is in play, which overhauled the tax code, resulting in lower individual income tax rates. Additionally, standard deductions have been doubled and there are no more person exemptions. Business Income — The new laws created a new 20% qualified business income deduction. Additionally, there are revised deprecation methods and expended options for expensing business property. Business employers who provide paid family and medical leave to their employees during 2018 may qualify for a new business credit, as well. Medical Deductions — At least temporarily, the threshold for medical expense deductions have been lowered. As of 2017, individuals were able to claim itemized deductions for out-of-pocket health-care expenses as long as they exceeded 7.5% of adjusted gross income. Starting in 2019, that threshold will increase to 10%. Child Tax — In 2017, if someone took advantage of the child tax credit, they were able to claim $1,000 credit on income tax return for each child. For 2018, that deduction doubled to $2,000 per qualifying child. Now, the refundable portion is equal to 15% of earned income up to $1,400. Estate Planning — Married couples can come exemptions to have $22.36 million in exemptions. This increase is projected to decrease back to $5.6 million by 2026. Keep in mind, it’s important to note that if you do have assets in the six figures or higher, it’s recommended to have a trust in addition to a will in order to help minimize estate taxes and avoid probate. Sometimes, simply being aware of new tax changes isn’t enough to avoid financial and legal issues down the line. It’s recommended to consult with a tax professional, get organized, and start working on your tax filings early on. Additionally, in order to remain financially secure throughout both tax season and the entire year, take a detailed look at your family’s budget. According to the U.S. Census Bureau, the average American household spends roughly $1,803 a year on apparel alone — cutting back on clothing costs can help save plenty of money throughout the year. 2000 — Estate Tax Exemption: $675,000. Top Estate Tax Rate: 55%. 2001 — Estate Tax Exemption: $675,000. Top Estate Tax Rate: 55%. 2002 — Estate Tax Exemption: $1 million. Top Estate Tax Rate: 50%. 2003 — Estate Tax Exemption: $1 million. Top Estate Tax Rate: 49%. 2004 — Estate Tax Exemption: $1.5 million. Top Estate Tax Rate: 48%. 2006 — Estate Tax Exemption: $2 million. Top Estate Tax Rate: 46%. 2007 — Estate Tax Exemption: $2 million. Top Estate Tax Rate: 45%. 2008 — Estate Tax Exemption: $2 million. Top Estate Tax Rate: 45%. 2009 — Estate Tax Exemption: $3.5 million. Top Estate Tax Rate: 45%. 2010 — Estate Tax Exemption: $5 million or $0. Top Estate Tax Rate: 35% or 0%. 2011 — Estate Tax Exemption: $5 million. Top Estate Tax Rate: 35%. 2012 — Estate Tax Exemption: $5.12 million. Top Estate Tax Rate: 35%. 2013 — Estate Tax Exemption: $5.25 million. Top Estate Tax Rate: 40%. 2014 — Estate Tax Exemption: $5.34 million. Top Estate Tax Rate: 40%. 2015 — Estate Tax Exemption: $5.43 million. Top Estate Tax Rate: 40%. 2016 — Estate Tax Exemption: $5.45 million. Top Estate Tax Rate: 40%. 2017 — Estate Tax Exemption: $5.49 million. Top Estate Tax Rate: 40%. 2018 — Estate Tax Exemption: $11.18 million. Top Estate Tax Rate: 40%. As long as you’re staying on top of all these new rules and aren’t neglecting your tax responsibilities, you should be in the clear and will have a financially successful 2019!